Sometimes you just discover a brand or product that you fall in love with instantly – and one such brand for me is NOM (Naturally Organic Matters) and their range of bars. Before I go on I think it’s important to say that I am neither sponsored by nor affiliated with Nom – this post is purely my pesonal opinion! I first tried these bars over a year ago when I spied them on the shelves of Planet Organic on Westbourne Grove and have been hooked since. The ingredients are all natural – oats, coconut oil, agave, oat bran and then either flavoured with cacao, raspberry or banana. They are slowly baked so they retain their nutritional value and are my go-to breakfast alongside a green smoothie before early morning client sessions. They have just launched their brand new protein bars – also made from oats, coconut oil and agave but with the addition of pea protein – the perfect post workout snack! They pack 17g of protein but are also dairy and refined sugar free. 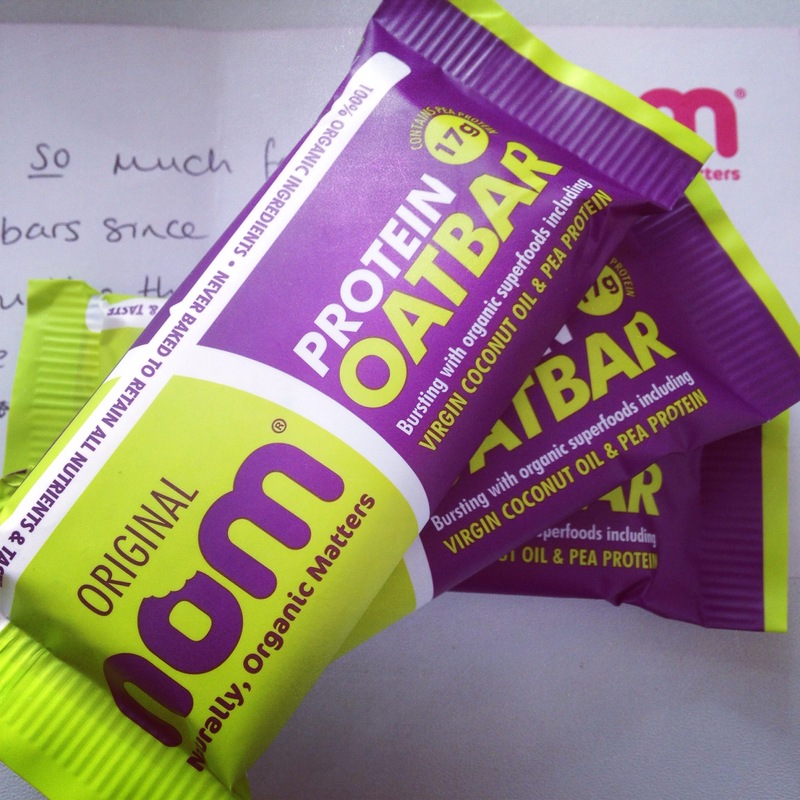 I have been strugging to find protein bars to recommend to vegan clients so am extremely happy with Nom’s new launch! Don’t just take my word for it though – you can try them yourself by buying at Planet Organic, Whole Foods and online at Ocado. Noms definitely have the Wildcat seal of approval!